How to learn Sicilian (or any other minority language) and …dream big! As I was born in Naples, hence Neapolitan and speaker of this language too, when I run into Fran Norris’s Instagram profile and saw the tremendous effort and passion she was putting into learning Sicilian, the language spoken in Sicily (which is not a dialect but an actual language) I had to know more about her. Fran’s story is the second of the series How Learning A Language Can Change your Life” (here was the first one!) where successful language learners share their experiences, setbacks as well as the wins they’ve experienced throughout their language learning journey. Fran is a wonderful example of tenacity and determination as she managed to learn Sicilian despite the lack of resources and without needing to move to another country to create the result she wanted. She lives in Australia, born to Sicilian and Australian parents. She has become obsessed with everything Sicilian, learning the language, the people, culture, music and especially the food. How to ditch the excuse “I have no one to speak my second language with” and actually start making progress! How to build and rebuild your confidence in speaking your second language. Why listening to your foreign language is so important for your speaking skills. How learning language can actually impact your life positively and make you DREAM BIG! Why learning Sicilian or any other minority language? Fran is an incredibly dedicated language learner who -like many of us- started learning a language to connect with a culture and a reality she felt deeply attracted to, which included her family in Sicily. Fran started learning Italian 8 years ago. As her father, who had passed away, was Sicilian, she wanted to visit his hometown in Sicily to also meet her relatives there. After years of visiting Sicilia and trying to communicate with her relatives it dawned on her: although Fran’s relatives could understand her perfectly well, she was not understanding them as they were not speaking Italian. So, eighteen months ago Fran started learning Sicilian language. Last year in 2017 Fran decided to return to Sicily. She had only been learning Sicilian a few months, but she was all excited about spending time with my relatives chatting, in Sicilian of course. Another lesson’s learned from Fran: listening is one the most important skills that you can develop to allow yourself to tune into the language you’re learning. Listening is also the skill that will indirectly build your confidence in speaking that language little by little. So, do not underestimate your listening practise. Even passive listening (for example, listening to songs or podcast) over time can bring you unexpected and amazing result. And just when everything seemed to come into place Fran had to face another struggle: finding material at a higher level than beginner to learn Sicilian. What an honour has been to have this wonderful lady over at The Language Rose blog. Fran, you are a role model to all language learner out there. And your story will give a little kick in the bum to all those language learners who complain about not having anyone to practice with. Fran is the living evidence that you can actually learn ANY language as long as you want it. The reason why I wanted to tell Fran story was to spur you into action. In the comment below let me know what is the next step you’re going to take RIGHT NOW that can help you to practise the language you’re learning and that will also help you to get to the next level? Learning a language is just a matter of finding the time (aka have it embedded in your routine) and have a strategy into place for it. Fran managed to find both: the time and the right strategy. And you can do it too! And if you need some inspiration and motivation, come back to Fran’s story and remember that I’m also cheering you on all the way. P.S. 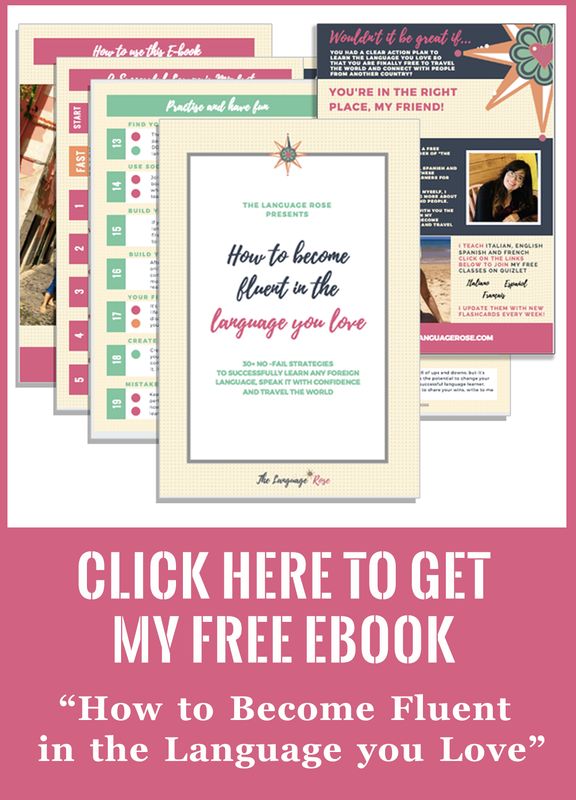 If after Fran’s story you’re all fired up to start learning your second language, and want some more actionable steps to help you succeed, download my FREE ebook “How to Become Fluent in the Language you Love”. It’s right here. 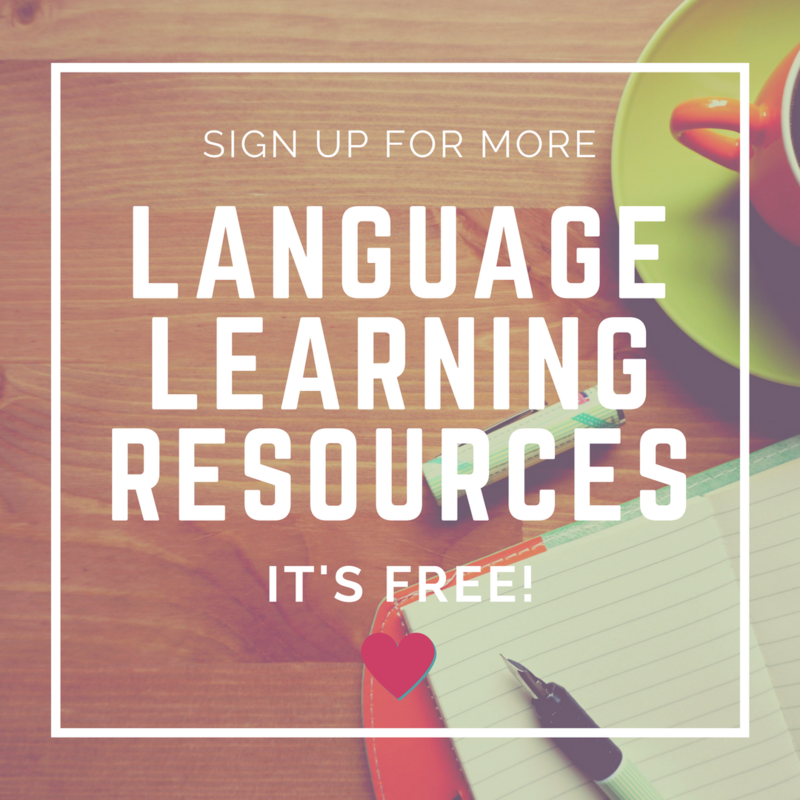 In there, you’ll find my personal 30+ strategies that helped me start learning, practise and become fluent in 3 different languages (so you can do it too). P.P.S.Are you going to travel around Italy and need an Italian crash course that help you learn basic vocabulary and build your confidence in speaking (but on your terms)? You should have a look at my Italian Conversation For Travellers right here! Let me know what you think! P.P.P.S. Did you really like Fran’s story? Then, it would mean the world to us if you could share this story using the sharing buttons below! Especially if you know someone who can help Fran to learn more Sicilian! GRAZIE MILLE FROM BOTH OF US!! 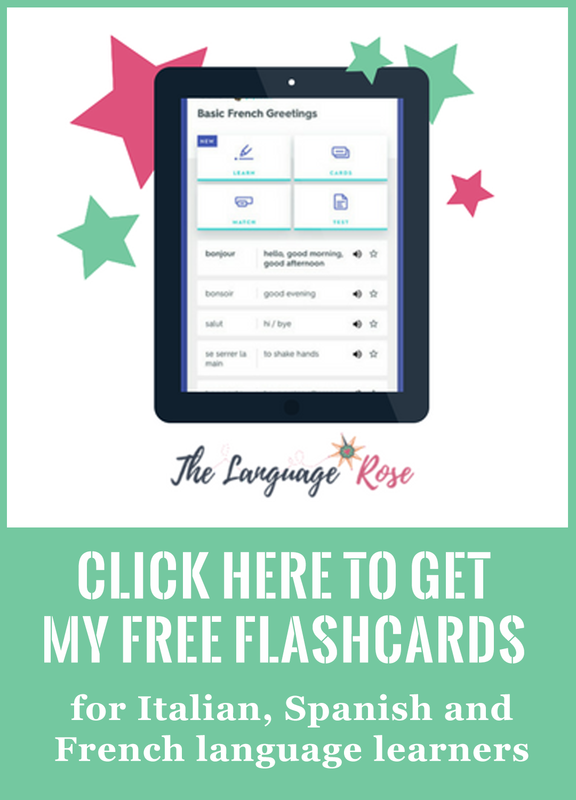 Did you know I have a free ebook where I share my personal strategies that I used to become fluent in English, Spanish and French. Learn a language slowly – A Manifesto!